Hardee's partners with a local provider, America's Catch, to test their new Catfish Sandwich in four Mississippi Hardee's restaurants as a potential chain-wide offering for next year's Lenten season. 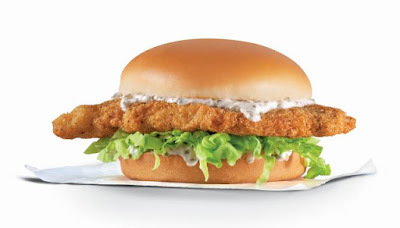 The new Catfish Sandwich features a catfish filet coated in cornmeal breading and deep-fried. It comes served with Duke's Tartar Sauce and lettuce on a plain bun. The test starts March 20, 2019 and is slated to run through April 23, 2019. The price per sandwich starts at $3.99 (may vary). You can find the Catfish Sandwich for a limited time starting tomorrow at the Hardee's locations in Batesville, Olive Branch, Senatobia, and Horn Lake. According to Hardee's, this is their first partnership with a local vendor and they plan to source more of menu items from local communities.